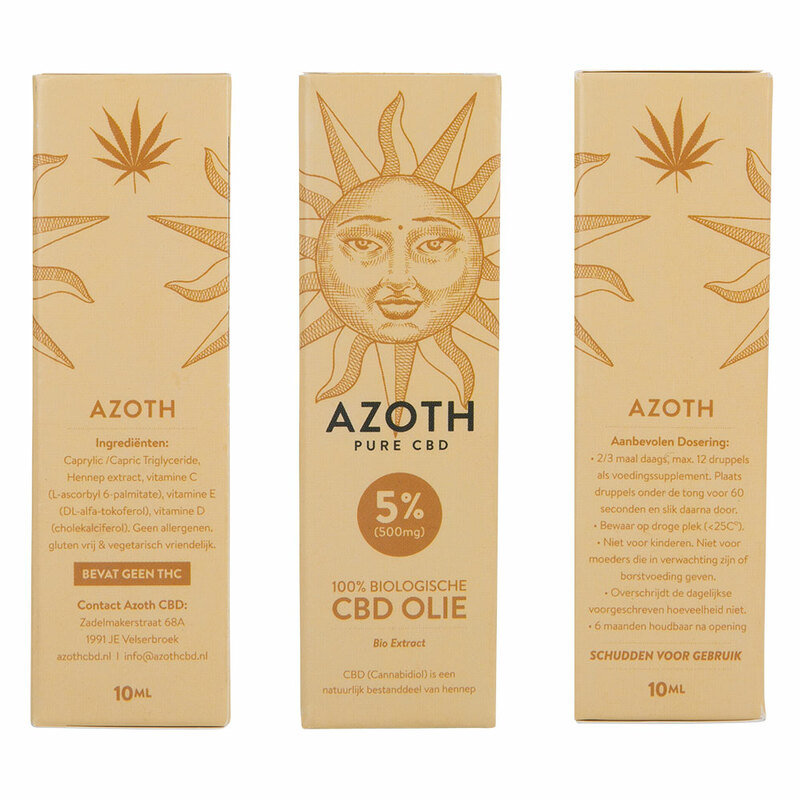 AZOTH® 5% organic and THC FREE CBD Oil is an innovative nutritional supplement farmed in organic hemp fields. 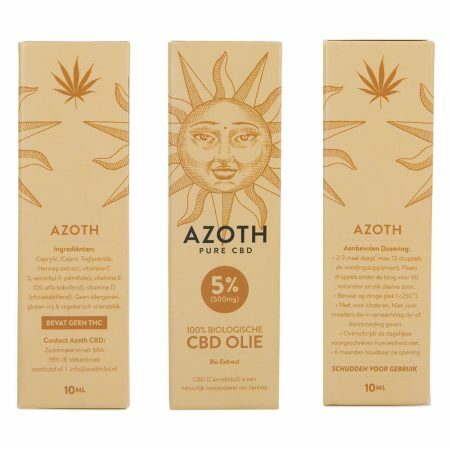 AZOTH® 5% CBD contains 5% pure hemp extract COMBINED WITH VITAMIN C AND E, A AND D AND without THC (see test report by third parties). This has been solved in neutral organic oil basis. AZOTH® 5% is suitable for filling the supply in the muscle and physical fatigue and any higher physical effort. It is the support of collagen production in periods of stress or collagen reduction in respect of age. This includes complex of Vitamin C, D and E that a significant contribution to normal muscle activity, reduction of fatigue and normal collagen production, for optimum operation of the bones, cartilage and muscles. It also contributes to a normal energy metabolism and reduction of fatigue. Vitamin D contributes to normal recording of calcium and phosphorus, which is important for healthy bones and joints. 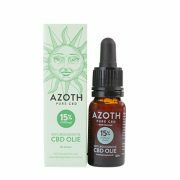 Vitamin C AND E contribute to the protection of cells against oxidative stress. Vitamin A and D are involved in cell specialization and cell replication.